Description This Marietta, Georgia motel has an outdoor pool, free internet access and non-smoking guest rooms. This hotel is also pet friendly. 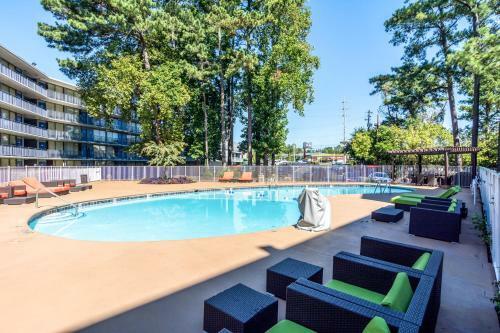 An outdoor pool free Wi-Fi and a pet-friendly policy that lets four-legged friends stay free are top features of the Motel 6 Atlanta Northwest - Marietta. The 329 rooms at this five-story exterior-corridor hotel have cable TV and complimentary Wi-Fi access. An elevator allows easy access to upper floors. Guests can relax with a swim in the seasonal outdoor pool or catch some rays on the pool's sun deck. 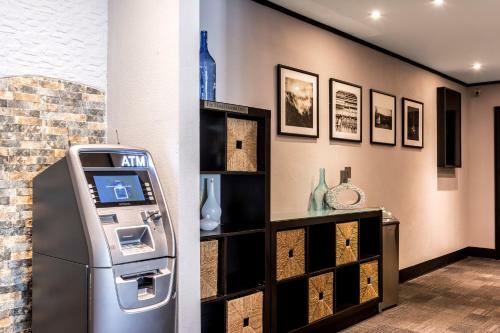 The modern-style lobby offers fax and copy services convenient for business travelers. Pets stay free and parking is also on the house. 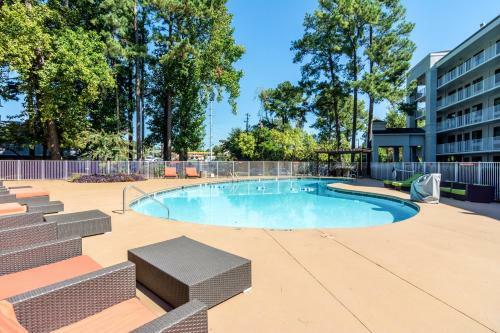 Located off I-75 the Motel 6 Atlanta Northwest is about one mile from Dobbins Air Reserve Base and about five miles to historic Marietta Square. Kennesaw Mountain National Battlefield Park has a museum and scenic trails about nine miles away. White Water theme park is about four miles from the property; Six Flags Over Georgia is about 20 miles away. Downtown Atlanta Georgia Aquarium and World of Coca-Cola are about 16 miles from the hotel. Hartsfield-Jackson Atlanta International Airport is about 24 miles away. 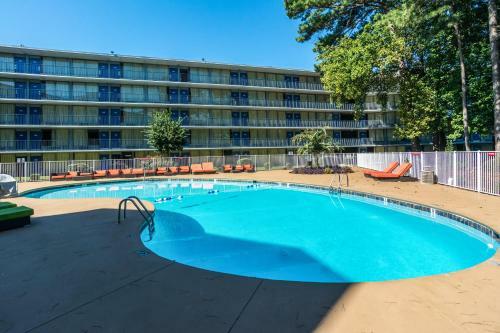 Add Motel 6 Atlanta Northwest - Marietta to your free online travel itinerary.